So the summer is almost at an end. I mean it has technically already ended now that schools are back and so I’m back at work but the odd day of sunshine means that I can try to drag it out a bit longer. I sat looking through some of our pictures of this summer and so thought that I would write a little post about what we have been up to. 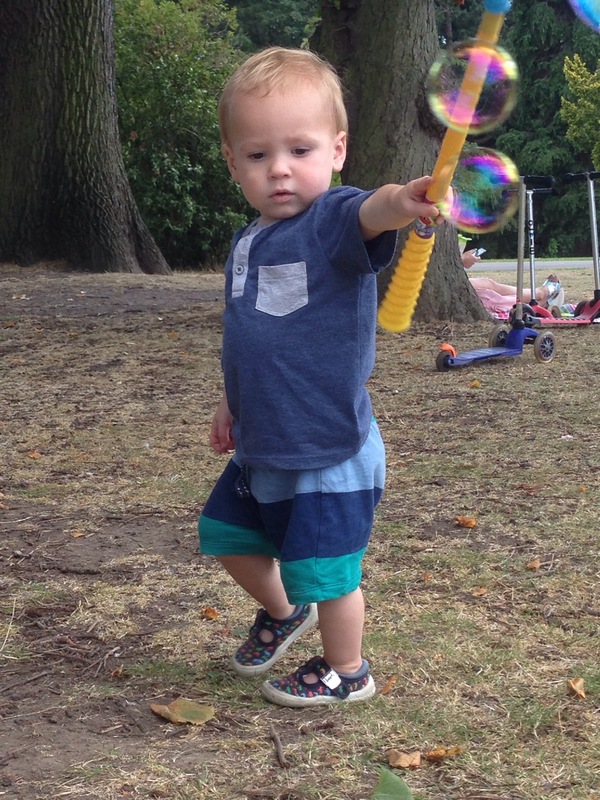 One of my favourite parts of this summer has been trips to the park. Baby boy has started to confidently walk and now loves to run around on the huge open lawns at our local park. He is getting so quick now that me and my pregnant tummy sometimes find it hard to keep up! 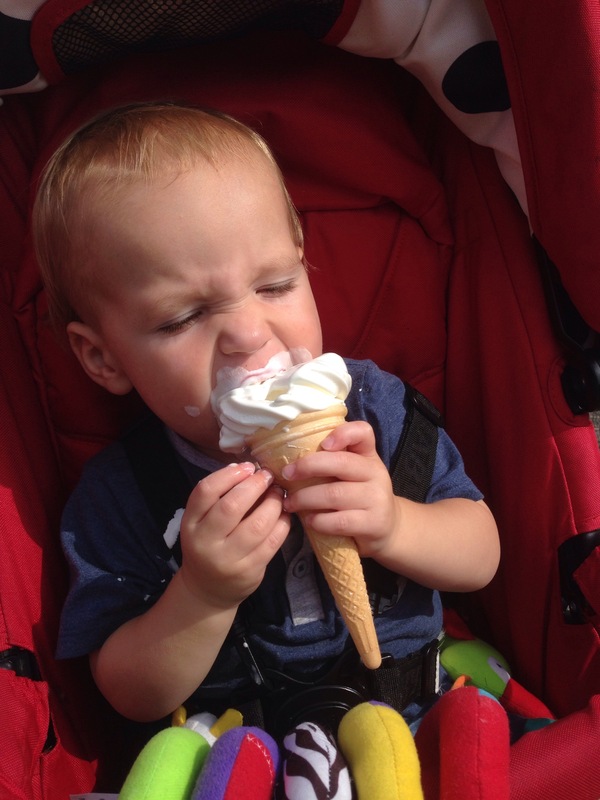 I think one of the reasons he loves the park so much though is that he is sometimes treated to an ice cream. Gone are the days when he would be content to share one and have me hold it. Oh no, now he wants to hold it himself! It goes everywhere! We are very lucky to have access to a flat in the Lake District and so we have spent a few weekends up there with baby boy exploring different places. One of the best days we had was at Sizergh Castle. We have a lifetime membership for the national trust (which we really need to use a bit more) so we can visit some lovely places. We stayed in the gardens this time and let baby boy run around. He loved it. We were chasing him everywhere. Afterwards we went to Lower Sizergh Barns for lunch and then took baby boy to see the animals. The chickens were not particularly impressed when he tried to give them a cuddle! Baby boy was in his element when he found a tractor to sit on. 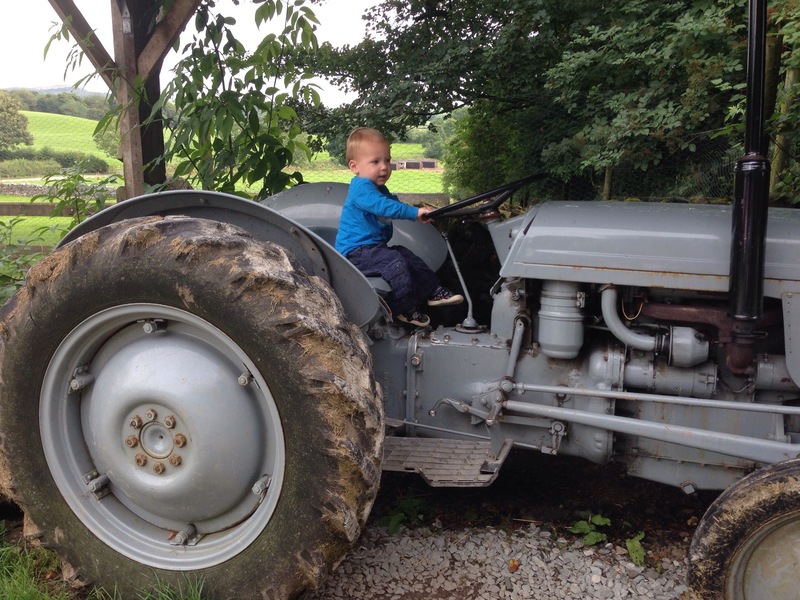 What is it with little boys and tractors. He would have stayed on it all afternoon if we had let him. A lot of time this summer has been spent in the garden playing on the swing and picking strawberries. We were quite disappointed once the last one had been eaten. All in all it has been a great summer. Next year we will have 2 children to have fun in the sun with!